At Dream of Wild Health, we believe that children are sacred, wakan. They are the future, just like the precious seeds in our collection. Our youth programs are a way to bring families together around healthy food, nature, and traditions. Each summer, we offer programs for Native American youth from the Twin Cities. Youth kids ages 8-12 to join Cora’s Kids, a one-week program that teaches about organic farming, health, and culture. Youth ages 13-18 join Garden Warriors to learn more in-depth lessons on farming, culture, seed saving, and healthy cooking. The youth start each morning in circle with staff, learning to smudge and pray with tobacco. The youth learn to plant, grow, harvest and cook fresh, organic vegetables. The youth also work with our Native Chef, learning to make healthy lunches. Older youth from Garden Warriors can stay with Dream of Wild Health year-round through our Youth Leaders program. These youth can become eligible to receive our youth scholarships by showing sustained dedication to the Dream of Wild Health programs and to their school work. Dream of Wild Health's Eastside Indigenous Garden is located in St. Paul. The garden is run by a group of dedicated community members with the support of Dream of Wild Health.  Dream of Wild Health hosts community classes and food demonstrations throughout the year. Check our events calendar for the most up to date information on our community events. In the past, we have done salad-making demonstrations, a hominy-making demo, a class on how to make wasna (a traditional Dakota food), canning lessons, and more. Classes are coordinated by our Nutrition Coordinator, Jenny Krocak. Reach out to jenny@dreamofwildhealth for more information or to coordinate a cooking demonstration with our staff or Youth Leaders. © 2017 Dream of Wild Health. All Rights Reserved.